Wedding news: Exclusive Facebook competition - Pretty petals! We've teamed up with Shropshire Petals to give you the chance to win its fabulous Personalised Shropshire Box! The chosen winner can choose from one of the wonderful personalised confetti cone designs and get creating their bespoke confetti cones. Select a background colour, add your names and wedding date, then view your chosen design on the interactive online preview. Then all you need to do is choose your confetti and you have yourself a truly unique confetti moment. Each Personalised Shropshire Box comes complete with 25 personalised confetti cones and plenty of confetti to fill them. 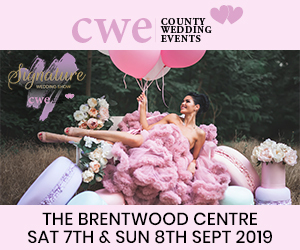 If you fancy your chances of winning then head over to our Facebook page to find out all the details on how to enter: www.facebook.com/CountyWeddingMagazines Good luck! Competition closes 31st January, 2019! *T&Cs apply!